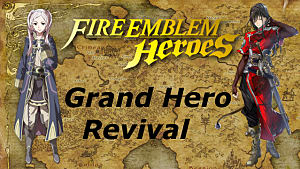 Fire Emblem Heroes has had events called Grand Hero Battles every few weeks since its release. This week is the most recent battle for Zephiel, the mad king from Fire Emblem 6. 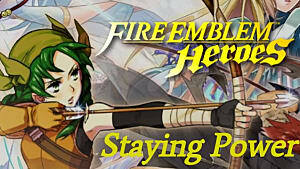 Fire Emblem 6 chronologically took place after Fire Emblem 7, the first Fire Emblem game released stateside for the GBA. In Heroes, Zephiel is a really powerful armored unit. He has the highest HP and Defense stats in the game, while also packing a good punch. He does have one of the slowest speed stats in the game, but this is made up for via his Wary Fighter skill, which means that you can not double attack him until his HP is below half. Let's first look at the battlefield, then we can start discussing some team compositions. There are 2 mages and 3 knights. 2 red units, 2 blue units, and 1 red unit: Zephiel. All the knights have Wary Fighter, which means you need to hit hard and fast. The two generic knights both have brave weapons, which means you ideally don't want to let them initiate combat. Ninian aka The dancer - She allows mages to get in 2 hits on the Wary Fighter protected knights and she also allows units to flee after attacking. Gunter aka The Buffer - He was there to act as a shield to the mages if something went wrong; however, his primary role was to stand next to the next two units and buff them. Ursula & Cecilia aka The Glass Cannons - I made some small alterations to these units to make them more combat ready/overpowered. I gave Ursula a Blarblade, which she inherited from Odin, the only person that uses this weapon. I gave Cecilia a Gronnblade which she inherited from Nino, the only person to use this weapon. This allowed for some insane damage. You see, these weapons add whatever bonuses they have to their damage. Well, Gunter's Hone Cavalry grants +6 Attack & Speed to nearby horseback units at the start of the turn. This means Hone Cavalry added 6 attack. The -blade weapons then add another 12 points of damage. This adds up to a whopping 18 point damage bonus for these mages whenever they start the turn standing next to Gunter. The great part about this team composition is that it is not super specialized or hard to pull off. 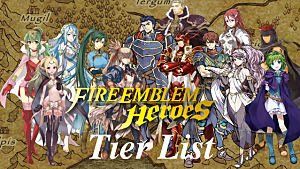 Ninian can be replaced by the F2P Olivia. 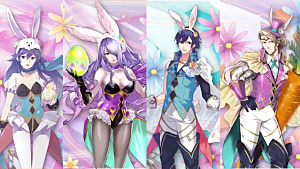 Gunter, Cecilia, and Ursula are also all F2P. 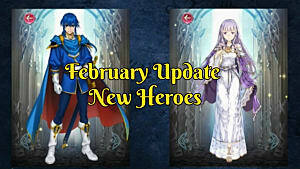 The former two being available through daily quests and the latter being available as a previous Grand Battle Unit. While Odin and Nino are not F2P, they are somewhat common draws. I've drawn 2 Odin's and 4 Nino's. In fact, you don't even need blade weapons, they just significantly help things out. In fact, a very drastically different team comp is fully capable of pulling this strategy off. I was also able to pull this off without a dancer while using Eldigan, but that was slightly harder. In that situation, I had to use the Draw Back that Cecilia also inherited from Nino to pull Ursula to safety. However, Eldigan is a burly unit and was able to take blows from the ax knight and Zephiel. But, if your team composition does not rely upon a buffer, like Gunter, then you could have a sturdy unit in place of the buffer while keeping the dancer. This would probably be necessary unless you have mages that can blow past foes, like mine can. My strategy is very basic: use mages to kill everything while having the dancer back up the mages. You can supplement this strategy some, but for the most part, you are going to want to make sure the mages take care of the knights at range. All of the knights hit damned hard, making them hard to tank through. The mages are your biggest worry since they are ranged and can pelt you with magic damage. If you have a strong tank, you might be able to handle some of the knights' hits, but no one can withstand such hard hitting physical and magical blows. The first unit you want to bait and kill is going to be the red mage on the right. This is also the only unit that can be baited without getting hit by multiple other enemies, so almost any strategy is going to revolve around baiting him first. I moved Ursula forward to do this; she demolished him. Enemy Mage is about to attack and promptly get wrecked. I get Cecilia to attack and kill the ax knight via being danced upon. I moved Ursula back after this and moved Gunter forward next to Cecilia so that she will have her Hone Cavalry bonus next turn. 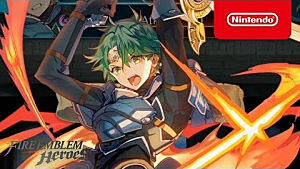 The enemy mage throws itself against Cecilia and dies for his efforts. Gunter gets attacked by the lance knight, but his high defense leaves him in decent shape. Zephiel moves forward. Now you will move Cecilia down and behind Gunter to attack and kill the Lance knight, again via dancing. Then move Gunter down, next to Ursula so that she will have the Hone Cavalry bonus at the start of the next turn. She will need it to kill Zephiel. Zephiel will move over on his turn. Now, move Ursula forward and attack. Then dance on her and attack again. You have now won your very own Zephiel!